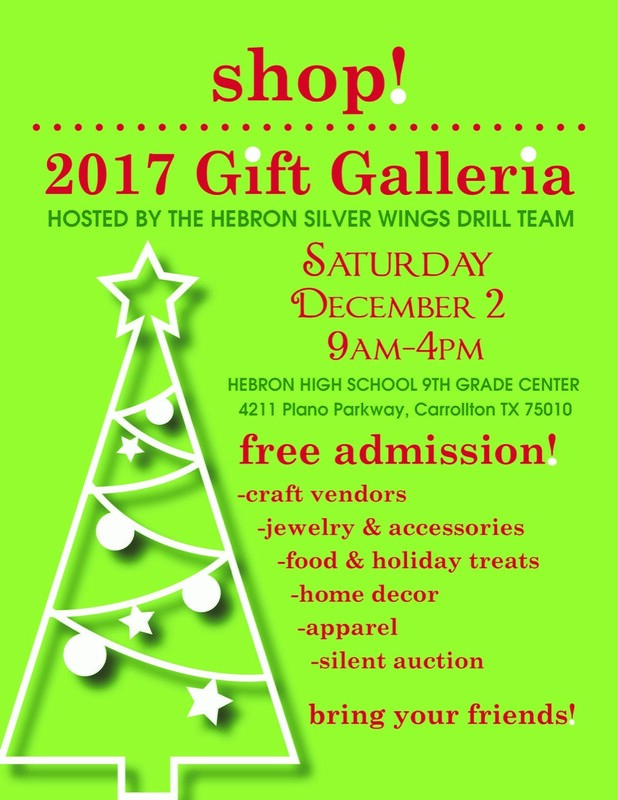 "Mark your calendars for Saturday, December 2nd, for the Annual Silver Wings Gift Galleria & Silent Auction, in the 9th Grade Center Cafeteria. Great shopping, FREE admission, 80+ vendors with plenty of unique items to start and finish your holiday shopping. Fabulous Silent Auction. Snacks, drinks and lunch available at concessions." Each booth includes 2 chairs. Complimentary refreshments for Vendors. Tables, Electricity, and Lunch available for an additional fee. Applications are available here and are due by November 6th, 2017. 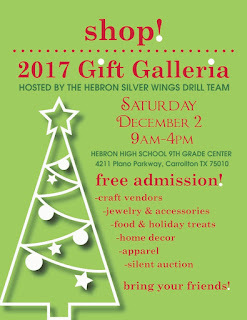 For more information, visit their website or contact their event coordinator at giftgalleria@hebronsilverwings.org.